Ever thought higher life expectancy could be a problem for you? Well, it could be if you are a silver citizen. Possibility of a very long life ahead, coupled with an ever-increasing healthcare cost, could pose serious threat to financial stability of a retired person. No wonder, the elderly participants at ET Wealth Investment Workshop in Delhi, raised the issue with Vivekh Pathak, founder & principal consultant, Finance and You. A senior participant wanted to know whether he should make some special investments to tackle the issue of longevity and spiralling medical cost. Pathak agreed that both pose challenges to retirees. However, there is no general prescription to the problems. “It depends on your personal situation,” elaborated Pathak. “You do not have to do anything extra if your life savings can generate enough income to take care of your living expenses.” However, if you already feel stretched, and worry your corpus won’t last long enough, it is time to visit a financial planner. Pathak emphasises that a retired person should not do anything without analysing his financial situation and carefully evaluating the investment options available to him or her. “You should be very careful. A retired person cannot withstand a huge setback,” he told the participant. He also suggested 'bucket strategy' to retired folks. ''Divide your corpus into three parts. Invest the first part mostly in debt, the second part in conservative equity funds and the last part you can take a little more risk, if you want. As you reach the first milestone, shift the money from the second bucket to safer avenues and so on," Pathak added. While talking about the recent categorisation and rationalisation of mutual funds carried out by mutual fund houses on the behest of Sebi, Pathak said the new definitions of various categories and strict investment norms would make lives easier for investors. Pathak said the new guidelines would help investors, especially in debt mutual funds, to choose the best schemes to meet their investment objective. “The new definitions of debt mutual fund schemes are clear and investors can use them to take care of their short-term financial goals,” he said. As per the new Sebi norms, overnight funds would invest in securities having maturity of one day, liquid schemes would invest in instruments with maturity of up to 91-days. Ultra short-duration schemes can invest in instruments of three to six month maturity, while low duration fund schemes can invest in securities with six to 12 months maturity. 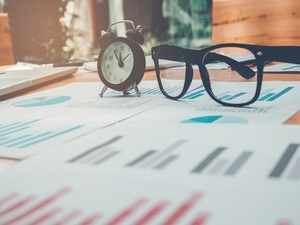 According to Pathak, a regular conservative investor need not look beyond these four categories for their short-term financial goals. A participant wanted to be doubly sure. “Does that mean that we need not look at any other options,” she wanted to know. Pathak answered in the affirmative.